Despite a massive internal infrastructure devoted to preventing workplace sexual assault and harassment, the Defense Department has a ways to go in matching other agency standards for lowering risk and harmonizing data from victims’ reports, a watchdog found. “Unwanted sexual behaviors in the military—including sexual harassment, sexual assault and domestic violence involving sexual assault—undermine core values, unit cohesion, combat readiness and public goodwill,” the Government Accountability Office wrote in a report released on Monday. “While DoD has policies and procedures to prevent and respond to these types of unwanted behaviors, some of the policies do not include key elements like anonymous reporting of sexual harassment and principles” in the Centers for Disease Control’s framework for sexual violence prevention, auditors found. 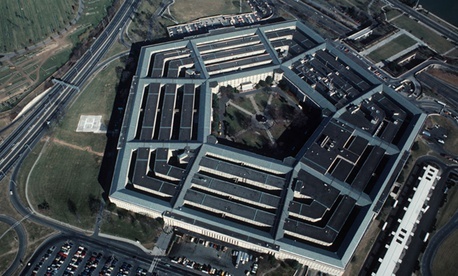 The Pentagon has been under orders to beef up prevention of sexual assault and harassment since passage of the fiscal 2013 National Defense Authorization Act. A 2017 law redefined sexual harassment so it is no longer seen solely as a form of sexual discrimination but is recognized also as an adverse behavior on the spectrum of behavior that can contribute to an increase in the incidence of sexual assault, the report said. The Defense Department has 15 different initiatives driven by a slew of cross-component entities, chiefly the Family Advocacy program, the Sexual Assault Prevention and Response Office, and Office of Diversity Management and Equal Opportunity, plus several roundtables and working groups within them. The chief official responsible is the Undersecretary of Defense for Personnel and Readiness (Robert Wilkie). The cultures and approaches used by the services differ. The Army, for example, in one harassment case chose a specific characterization of the incident, while the other services used more general terms, GAO noted. Though the Pentagon was instructed to begin permitting anonymous reporting, as called for in the CDC principles, GAO found that such reporting was still not being implemented by the Marine Corps, Army and Office of the Defense Secretary, while the Navy and Air Force already permit it. GAO made four recommendations, among them that the new policy expected in 2018 fully include the CDC principles for prevention and anonymous reporting. Auditors also recommended that Defense create a strategy for standardizing data to improve prospects for effective departmentwide reporting and prevention efforts. Pentagon managers mostly agreed, though Elizabeth Van Winkle, principal director of force resiliency, pointed out that different services have differing data based on unique needs.